His main duties as a mechanic involve gas engines, outboard motors, inboard/outboard drive systems, diesel engines, and computer diagnostics on all modern engines. 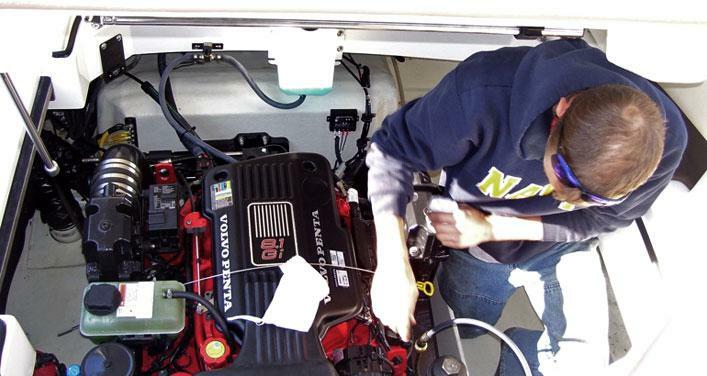 Connally has been working in the marine industry for over 10 years, and has attended two Suzuki Factory schools, and taken several MerCruiser Factory courses. Thank you for all the hard work Justin! For more information visit the Huckins service department online and join the conversation on Facebook and Twitter or Instagram.